Logistical and operational support to the PWLMA office in Matusadona National Park, and wildlife areas in the vicinity of Kariba. Provision of free transport on Padenga bulk transport boats for community members from the Mola Ward in the Omay to reach shops and medical facilities in Kariba Town. Support for Nyaminyami Rural District Council community initiatives in the Omay. Logistical support to Government departments, such as the Ministry of Health and Child Welfare, engaged in activities in the Kariba and Mola areas. Servicing/maintenance of vehicles belonging to the local law enforcement agencies to maintain their effectiveness in anti-poaching and combating crime in and around Kariba. 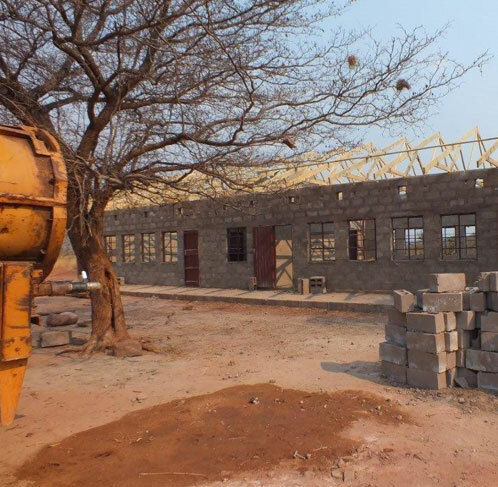 Construction of classroom blocks at Kulundu School in the Mola Ward. Cutting of grass along the road verges between Kariba and Makuti to improve road safety. Rehabilitation and painting of the Kariba District Hospital. Donation of 90 tonnes of maize to the Mola community in 2013 to offset drought induced food shortages. These activities play a small part in offsetting some of the socio-economic challenges that are most apparent in the more remote and marginal areas of the country and Padenga will continue to support initiatives such as these that so obviously benefit the rural communities from within which the bulk of its junior staff are drawn. 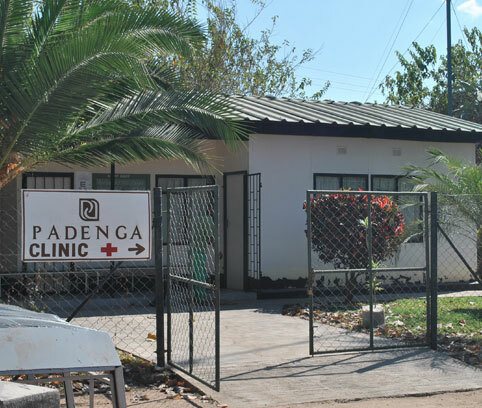 Padenga operates two clinics, one at KCF and one at UCF, that provide an invaluable service to employees, their families as well as to the wider communities within which the company operates. The work done by the Health Officers and the locum Doctor is essential in maintaining a healthy workforce and in providing the necessary care to employees with illnesses or work-related injuries, and to their dependents. These primary health care initiatives have contributed towards minimizing losses in productivity and also give employees the assurance that comprehensive medical services are available for their families in time of need. The Company remains committed to supporting on-going health-care initiatives, including HIV/Aids education, prevention and treatment programmes run in conjunction with the New Start Centre in Chinhoyi; access to free eye testing through the Mobile Eye Unit, access to free dental health care through the Kariba Hospital, and continued health education to all levels of employees. The Company’s community outreach programme ensures that these services are also extended to members of the local communities in addition to Padenga employees and their families. In support of on-going Safety, Health and Environment (SHE) initiatives, Padenga has implemented an Employee Wellness Programme which is administered through the Population Services International and Family Aids Care Trust (FACT). The purpose of this programme is to select and train ‘Peer Educators’ as well as identify Focal Persons to enable them to provide internal support to all the existing S.H.E. programmes run by the company. Apart from providing Voluntary Counselling and Testing (VCT) services on behalf of the New Start Centre, they also provide incentives to boost employee participation in the various initiatives, and distribute related information and educational material.